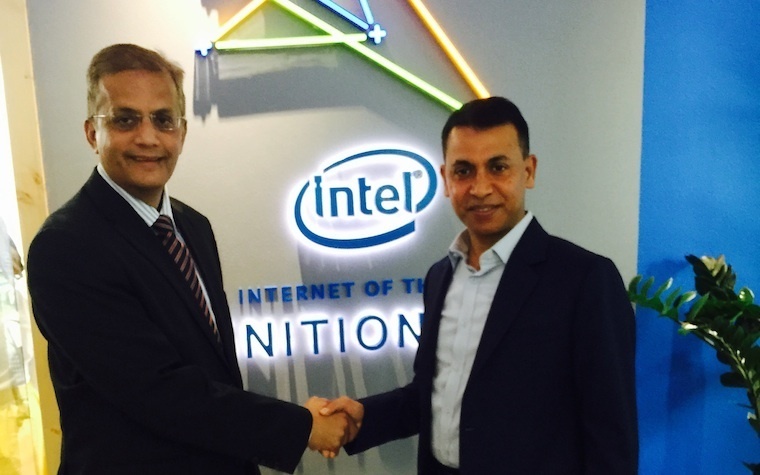 Linksys commits to supporting the development of Intel’s IoT lab built in collaboration with Dubai Silicon Oasis Authority (DSOA) by providing their networking solutions for SMBs. Linksys, the global networking solutions company specializing in Wi-Fi technology for SMBs, is providing its complete support to the Intel Internet of Things (IoT) lab built in partnership with Dubai Silicon Oasis Authority (DSOA) in Dubai, UAE. The IoT lab was founded as a part of Dubai Government’s Smart City Initiative by Sheikh Mohammed Bin Rashid Al Maktoum, Vice-President and Prime Minister of the United Arab Emirates. Lynksis commitment as part of a CSR project to offer their SMB portfolio of products, together with the IoT lab developments, will contribute to accomplishing the vision of Smart Cities, Smart homes, Smart transportation and Smart Retail. The Ignition lab’s launching event was held recently at Dubai Technology Entrepreneurship Center (DTEC). “The lab will serve as a centre of motivation to innovate and create and will become a playground for young technology visionaries and innovators,” said Amanulla Khan, Director-MEA of Linksys at this event. “Facilitation is a great stimulant and this lab will help all things IoT under one roof to stimulate ‘innovolution’ and the lab will serve as a bridge between ideas and commercialization of those ideas.” Khan added.